Your wedding day will be one of the most important days of your life. We understand that, not only do you need to look after your hair for you, but you need it to be in the best hands possible. If you are looking for hair styling for bridesmaids, mother of the bride or simply the perfect hair for any other important guest then we offer either individual wedding hair services, or can work with the bridal party to take care of everyone’s needs. Whether you are looking for an elegant up style or long hair style, natural or with the help of hair extensions, we can help you choose a stunning look. 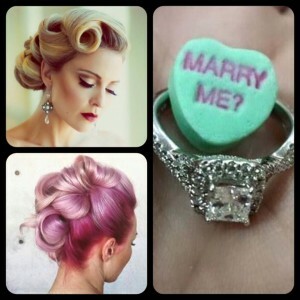 Your wedding hair style needs to be perfect for you and we will ensure just that. To discuss your personal wedding hair requirements or to book a consultation, please call us on 01753 853209.